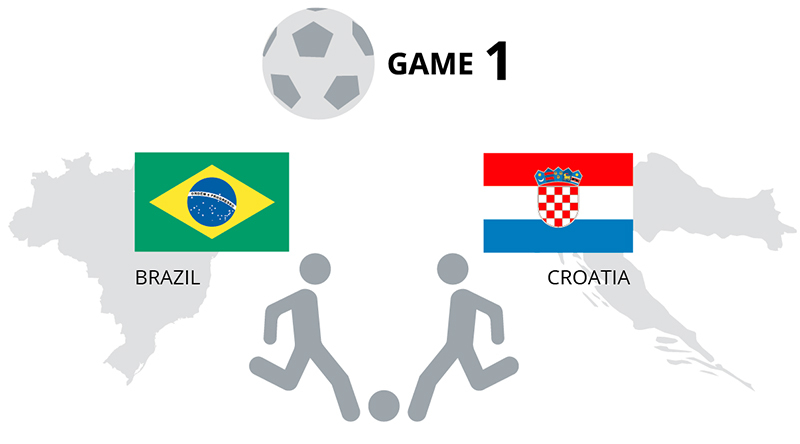 Yesterday the World Cup, the biggest sporting event in the world, played its opening game in Brazil. For the next few weeks as games are played, GeoPoll will be reporting on how many people were watching, what stations were most popular, and more, from 5 African nations: Ghana, Nigeria, Uganda, Kenya, and Tanzania. These ratings are part of our Audience Measurement Service, which delivers overnight ratings data, and are the only audience measurement statistics delivering data from these 5 nations, two of which (Ghana and Nigeria) are also playing in the World Cup. Below we’ve presented two different measures- the size of the audience watching in each country, and what percentage of the total population that represents, and the audience share. Audience share shows the percentage of people currently watching TV who were watching the World Cup: if 100 people in Ghana were watching TV and 50 were tuned into the World Cup, the share is 50%. We found that the largest amount of viewers were watching in Ghana: 3.5million, or almost 14% of the total population. 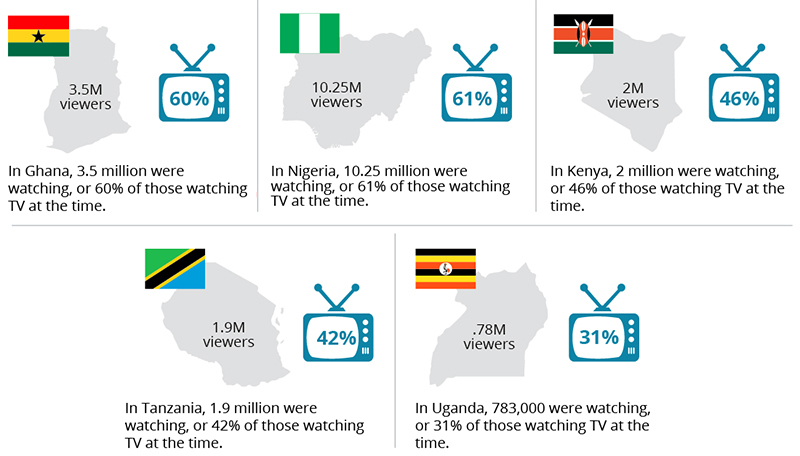 In Nigeria, which has a much larger population, 10.25million were watching, or about 6% of the population. See more statistics below.